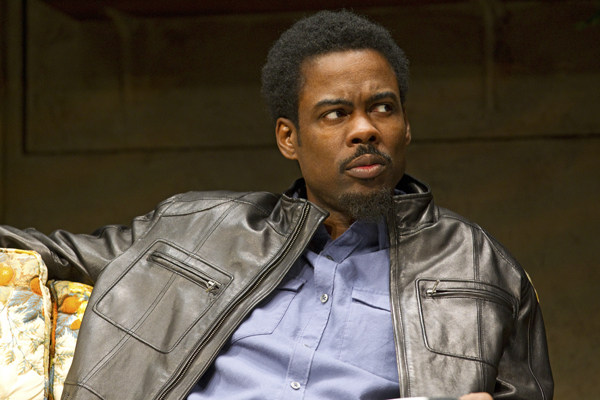 *Critics have weighed in on comedian Chris Rock’s Broadway debut in The Motherf**Ker With The Hat, which had its official opening Monday night (April 11). As previously reported, the actor plays Ralph, an Alcoholics Anonymous sponsor who tries to mentor an ex-con and recovering addict named Jackie, portrayed by Bobby Cannavale. But things get complicated when Jackie finds a man’s hat in his girlfriend’s apartment and suspects she’s having an affair. The New York Times’ reviewer is the most complimentary of the star, branding his performance a “solid Broadway debut,” but others weren’t so kind. A New York Magazine critic compliments Rock’s “flawless timing and devastating delivery”, but concedes “he’s just not a natural,” while a writer for Variety claims Broadway appears to be “too much of a stretch” for the comic. Chris I suggest you take some classes in film, etc. and learn the full scope of what you need to know to make good and interesting movies and plays. Honestly, your stuff has been really bad. I like Chris Rock’s brand of comedy and I plan to see this play. I don’t listen to critics when it comes to show like this because a lot of them believe that main stream artist should steer clear of Broadway – whatever!